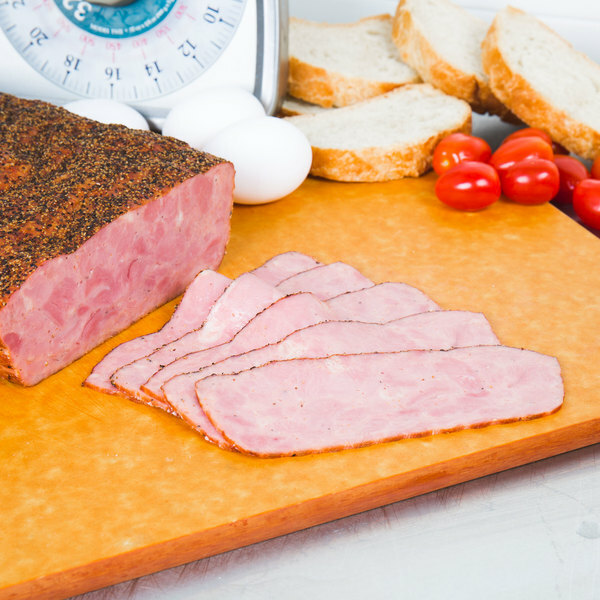 Give your health-conscious customers the smoky, meaty flavor they want, without all the fat, with this Godshall's turkey pastrami slab! This premium turkey pastrami is coated in a blend of rich, old world spices and then smoked on wood for a delectably hearty taste your customers will savor. Offer classic turkey pastrami sandwiches on rye bread with mustard and pickles, or create unique sandwich items by layering this turkey pastrami with Swiss cheese, sauerkraut, and apples on sliced rye. 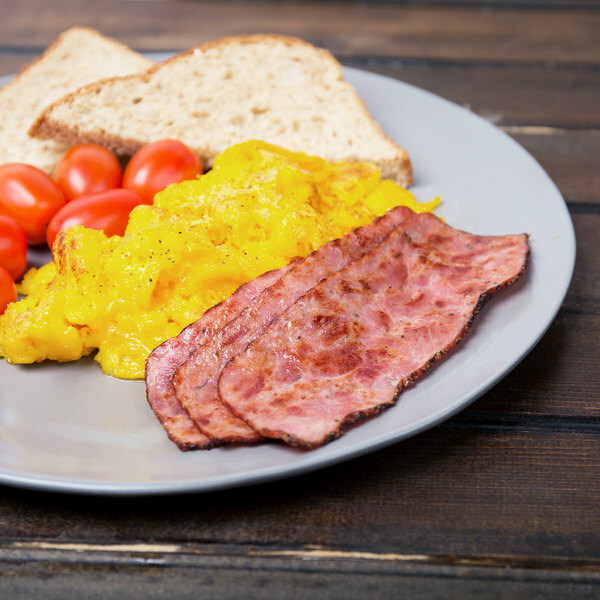 You can even use as a protein offering on your breakfast or brunch menu, as a side to your omelets or for a hearty topping to your scrambled eggs on toast. 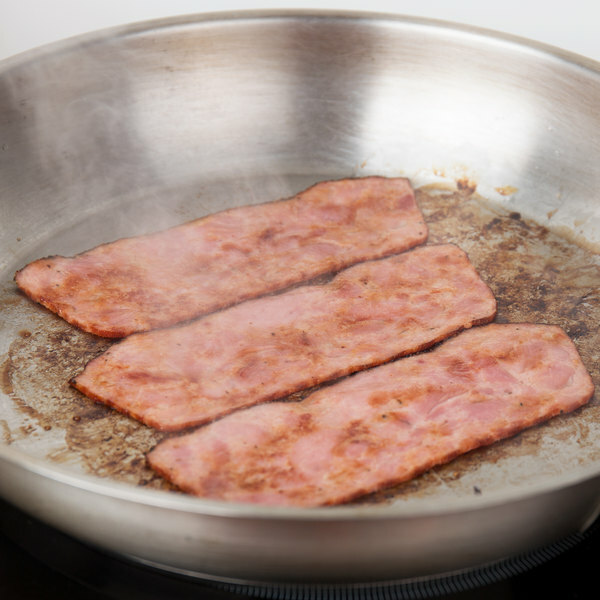 Made with 100% turkey thigh meat that is cured, chopped, and formed into a slab, this pastrami is a great alternative to beef pastrami, with a lower fat content and a bold, delicious flavor. This slab is easy to slice thick or thin, and can be served hot or cold. 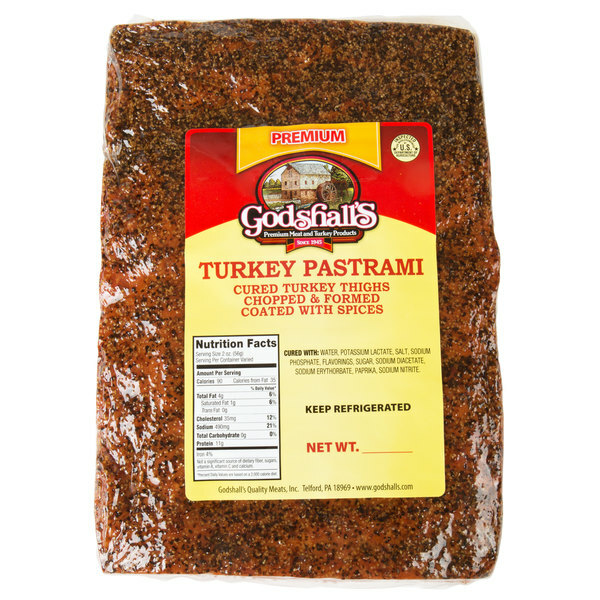 Perfect for use as a lunch meat or for completing your signature entrees, provide guests at your diner or deli with the unforgettable taste of this Godshall's premium turkey pastrami!